Engineered to deliver reliable, directional heat, L.B. 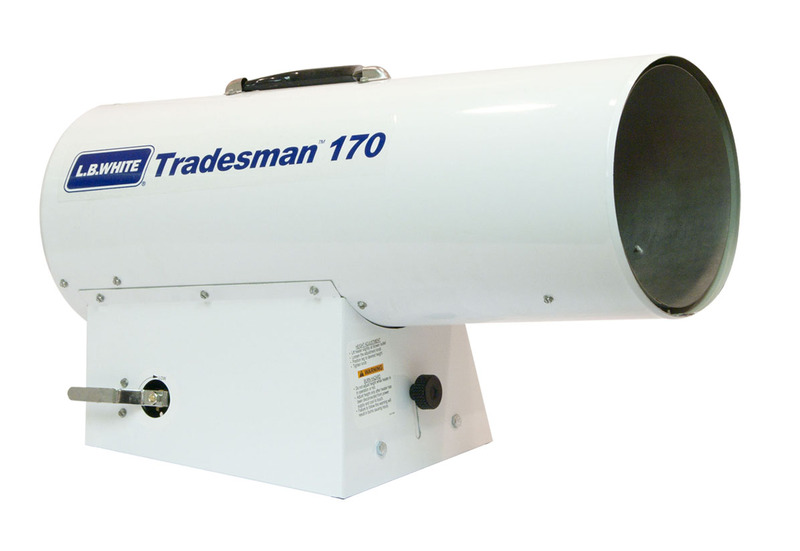 White Tradesman heaters feature a unique 3-trial ignition system, the industry’s heaviest gauge combustion chamber and burner plate, and Self Diagnostic Service Saver models for convenient trouble-shooting. Dimensions (L x W x H) 24" x 10" x 16"